Even at summer’s height in balmy (barmy?) August on your Martha’s Vineyard vacation it is still possible to find an escape from the heaving hordes and the ensuing relentless cacophony. That magical place of calm is the MV Land Bank property that connects the ponds of Duarte’s and Blackwater. 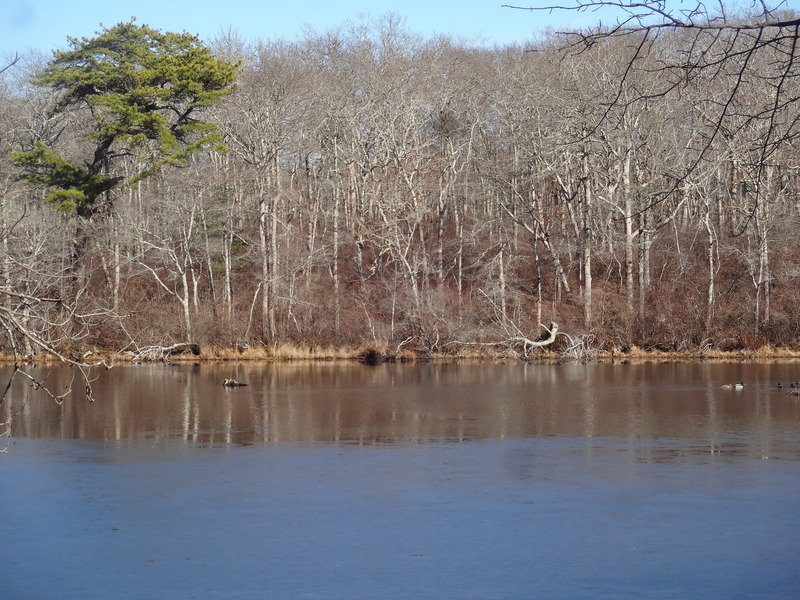 Hidden away off Lambert’s Cove Road, shortly after passing from Vineyard Haven into West Tisbury, there is an MV Land Bank property tucked away down a short track on the left (as you head “Up-Island”). This is where you’ll find the Blackwater Pond trailhead and to add to the pleasant surprise it also has parking! 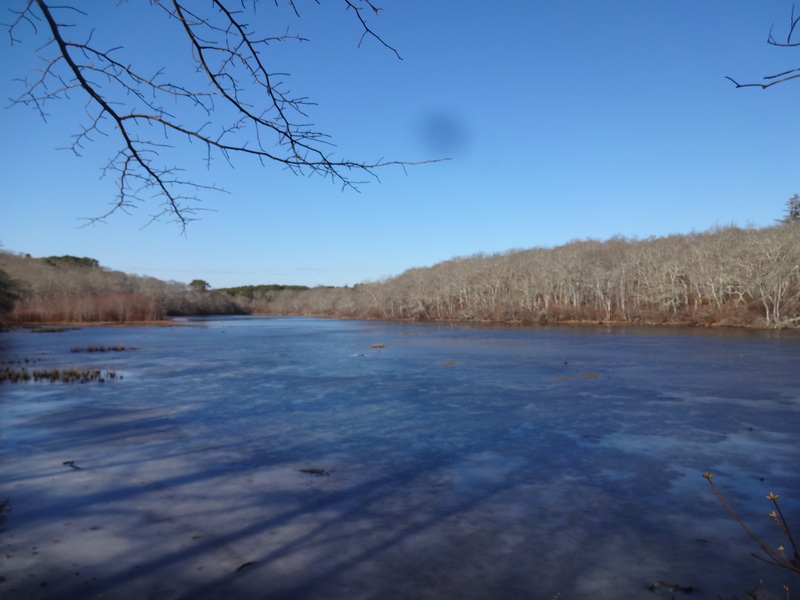 The Blackwater Trail actually includes four different ponds that form part of the flow of water that starts at Homestead Pond and empties into the Sound at Lambert’s Cove. 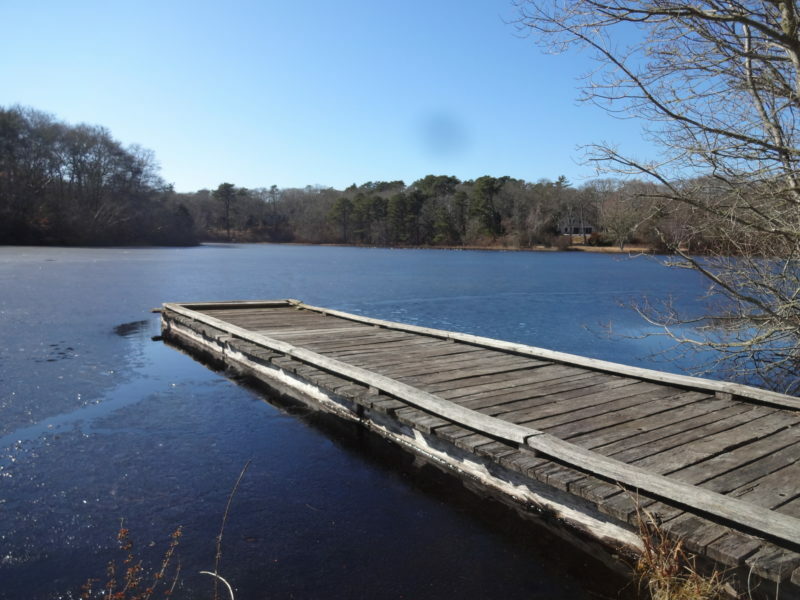 The four ponds are Blackwater Pond, Northern Duarte’s Pond, Southern Duarte’s Pond and the small Turtle Pond. As soon as you exit the parking lot you are standing at the edge of Northern Duarte’s Pond. 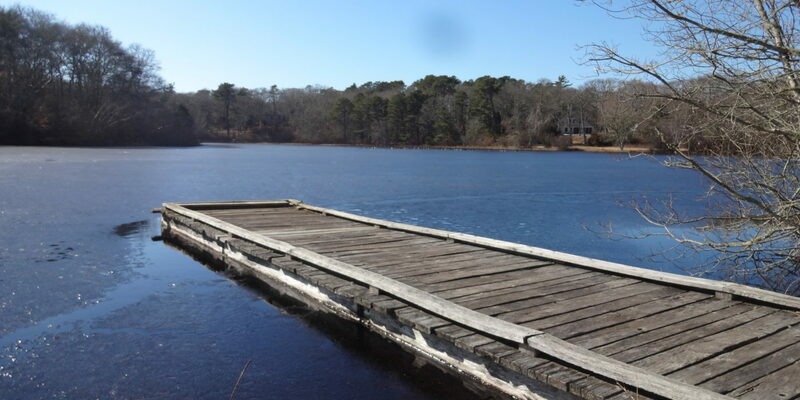 There is a small jetty and a couple of wooden benches set at the side of the pond. This is an incredibly serene location and it’s easy to simply let the afternoon slip by as you daydream whilst staring across the pond mesmerized by the toing and froing of the water fowl floating along the glistening water. But that would be to miss the opportunity to explore this locals’ favourite hiking trail. So pull yourself off the bench and head up along the side of the pond until you come to a narrow boardwalk. This boardwalk traverses between the two Duarte’s Ponds. To the right you’ll look back over Northern Duarte’s Pond and to the left you’ll be facing Southern Duarte’s Pond. For me this is a magical spot, where you find yourself surrounded by tranquility and beautiful water views. Both of the Duarte’s Ponds were formed by the flooding of ancient cranberry bogs and they radiate a calming stillness. Forging ahead the trail takes us up to the much larger Blackwater Pond. 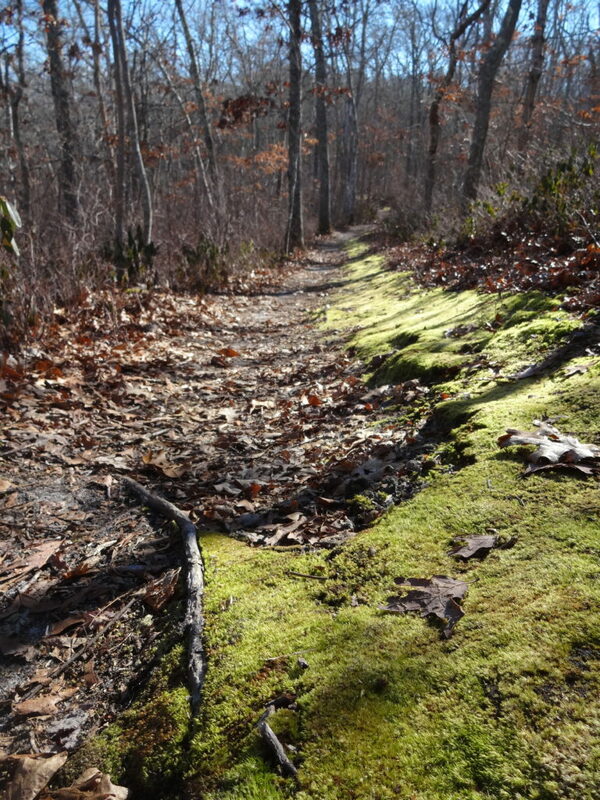 Please remain on the trail along the first portion, as it crosses private land until you reach a stonewall and a fork in the trail. The left fork clings closer to the pond and will eventually take you to Ben Chase Swamp at the head of the pond and then to Turtle Pond. Blackwater Pond is unique on Martha’s Vineyard as it is the only large pond or piece of water that has absolutely no houses perched along its edges. This is a location of true peace – inhale deeply and enjoy. 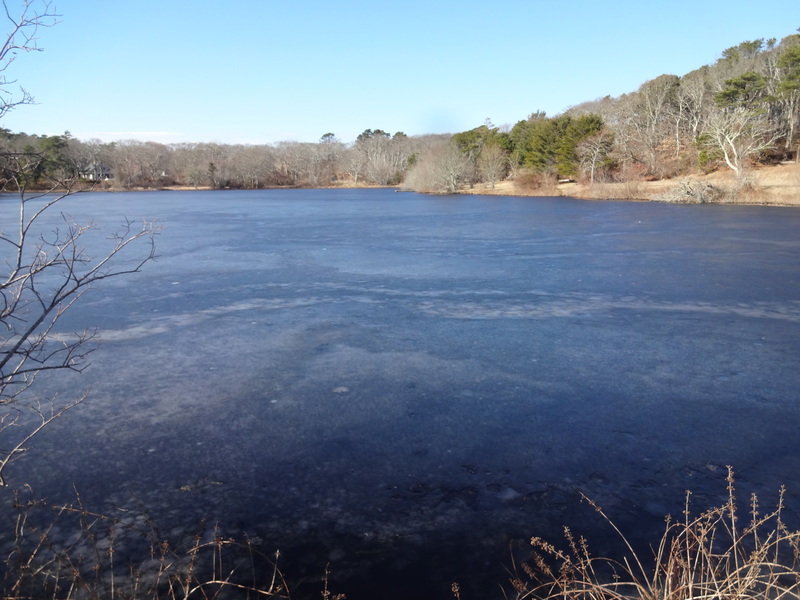 At Turtle Pond you can loop back around and then take the same tail back to the parking lot or, for the more adventurous, you can follow the signs and hike onwards to the adjoining Land Bank properties at Wompesket and John Presbury Norton Farm. 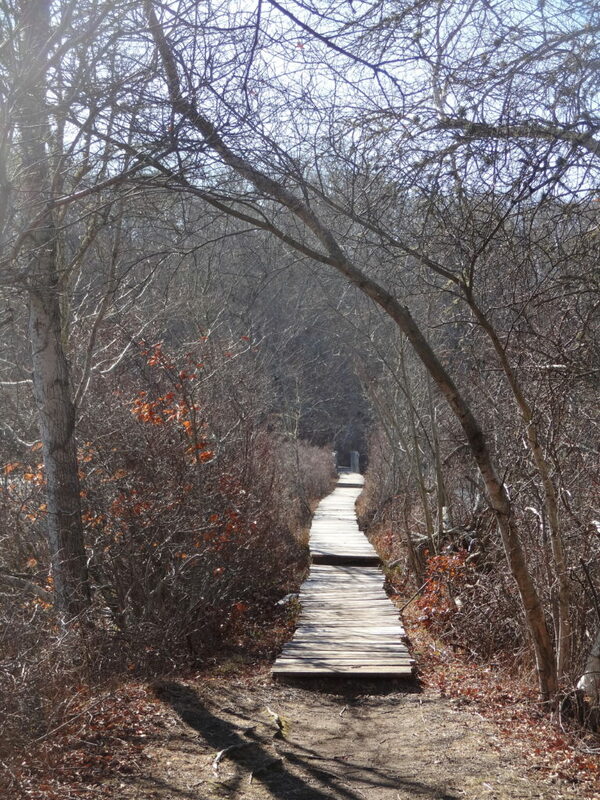 Here’s another secret Martha’s Vineyard hike for you to discover.